Right before I went offline on Tuesday night, Apple approved a new version of the Google Maps app for iOS that added CarPlay support. This is something I've been waiting for since March 2016, when I got my new car with Apple CarPlay. Now that it is out, I am happy but a bit underwhelmed. I installed it and drove home from work using it and while it was the first time I was using Google Maps with the new CarPlay user interface, it was a bit lacking of what Apple Maps has. I suspect it will take time for Google Maps to learn and improve but it is missing some features I'd like to see. I do wish Google Maps would predict my commute, like Apple Maps does, when I get in the car. And tell me immediately how long it will take for me to get home or to work. I think it will do that over time, I think I've seen screen shots of Google Maps doing this on CarPlay. I am just surprised it doesn't do it for me. Maybe because I am a Google Apps Suite user? 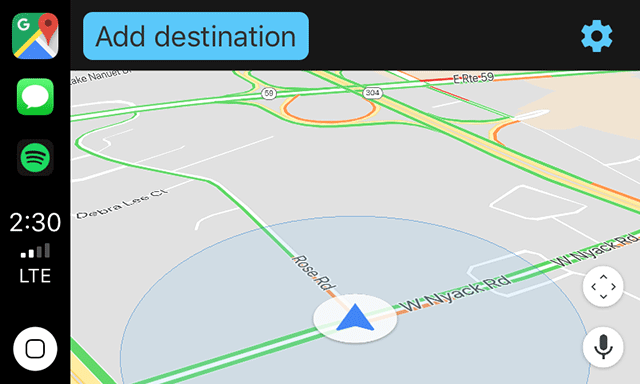 I also which it had overview mode, so I can just see an overview of the trip as I drive and not turn by turn navigation. This is something Apple Maps has. 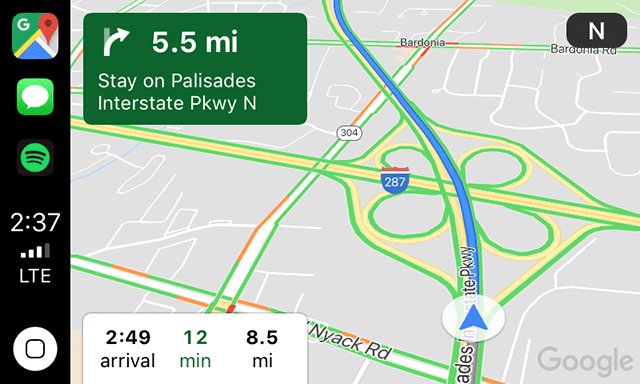 I love using overview mode when I drive somewhere I know where I am going. Just so I can see the traffic and where the slow downs are before I get there. Also, I like the ETA overview in Apple Maps overview mode. Honestly, not that much there - but it works. I suspect Google will quickly be releasing small updates to bring it up to speed with Apple Maps and surpass it quickly. I also cannot wait to try out Waze, when it is released. 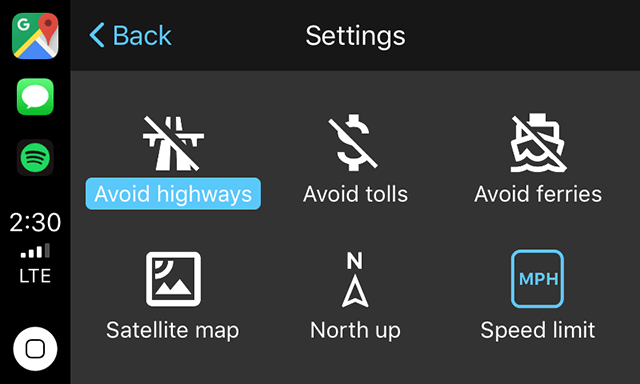 I am a heavy maps user when I am in the car - so I am eager to try them all.